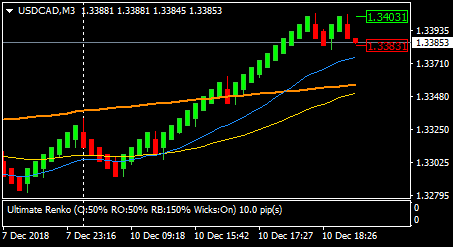 A better kind of renko and possibly the best charting package for scalping, swing and day trading. The ultimate All-In-One renko package (an upgraded version of the MedianRenko plug-in) is a robust version of the regular renko chart that enables various charting types to be created and is essentially the only renko plug-in that you will ever need. The size of the renko bricks can be manually set to any value that you feel comfortable trading with, or can be fully adaptive to changing market conditions thanks to the unique ATR driven bar size calculation that uses a user definable percentage of the daily ATR value. In general, ultimate renko charts are smoother looking, precisely indicate the session’s exact highs an lows, plus make indicator readings a lot smoother. You may find this new charting type to be the perfect balance between traditional renko an range charts. Backtesting of EAs on all charts created by the ultimate renko plug-in is possible using the proprietary CSV2FXT script (available only on the PRO MT4 version). The script is used to create binary HST & FXT files for renko charts from CSV text files with tick data. The plug-in offers three settings that may be used to synchronize your charts so they stay the same each time you restart your terminal. This is also very important, if you wish to run the same settings on several terminals. The recommended method for synchronization is to utilize the “ResetOpenOnNewTradingDay” setting, but you may use “StartFromBar” or “useFirstRenkoPipOffset” settings instead. The ultimate renko plug-in offers an optional feature, which ensures daily (or session) reference consistency by resetting the bars OPEN value on each new trading day. This keeps the daily open, low, high and close values consistent with the actual daily candle values, which is very useful when you trade stocks, indexes or just wanting to see the weekend gap (and all daily gaps) clearly visible on your charts. Highly optimized C++ engine for calculation of renko bars. Plug-in remains stable even in fast moving markets (i.e. during news releases). 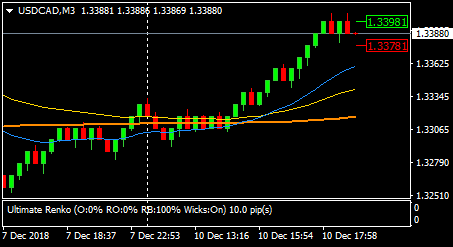 Compatible with all of the latest MT4 builds and all Metatrader4 brokers. Ensures compatibility with Windows (WindowsXP and up), MacOS (PlayOnMac) & Linux (PlayOnLinux). Bundled with MedianRenkoChart_info indicator, which displays the High and Low thresholds for the current bar, bar size information and provides optional sound and/or alert popup on bar close. 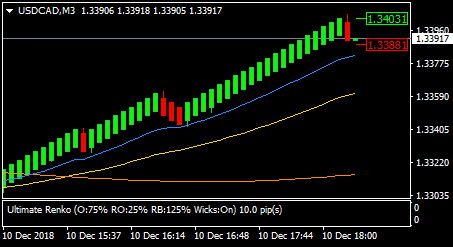 Plug-in supplied as indicator compilation – setup several renko charts from a single 1M chart. One time only low price payment (zero ongoing charges). Free lifetime updates (via online updater). 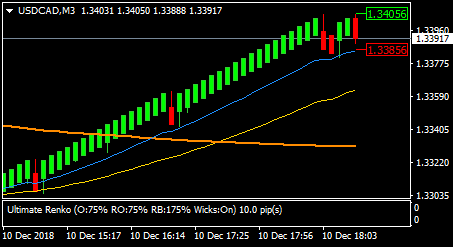 Lite version of the indicator for Metatrader 5 designed for Brazilian markets is available here.